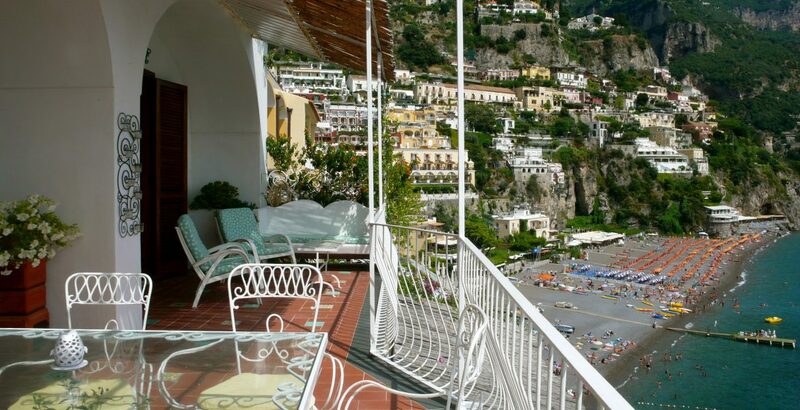 By staying in one of our apartments you will have the unique opportunity of experiencing the true atmosphere of Positano. By the end of your stay, you will probably have to tear yourself away from our terraces with their magnificent views of the sea and the sun. 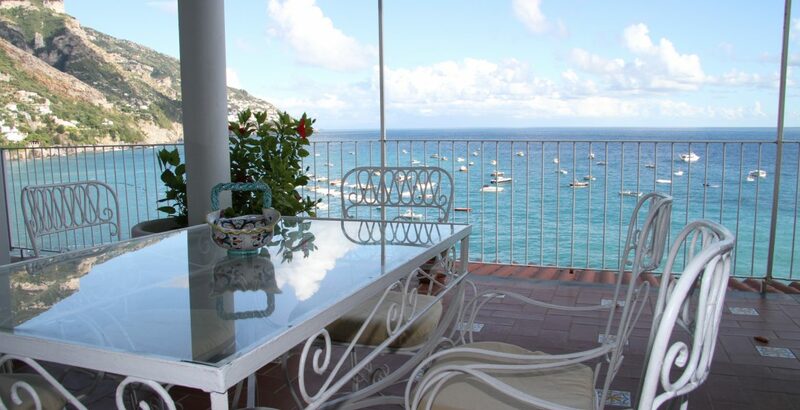 What makes Casa Caldiero so special is its prime location in Positano. Each apartment has its own private terrace with breathtaking views of the seaand it is located on a private stairway which is only accessible to our clients. 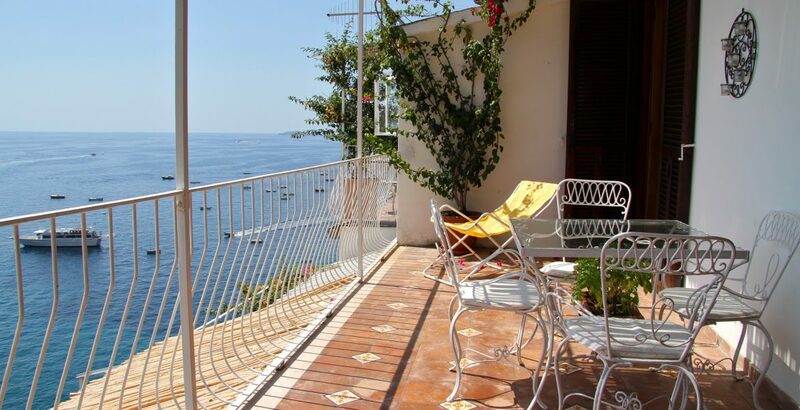 Stay at Casa Caldiero, means choosing to spend your holiday in true Positano style. The private stairway, only accessible to our clients, is in a unique position, which guarantees breathtaking views of the sea. 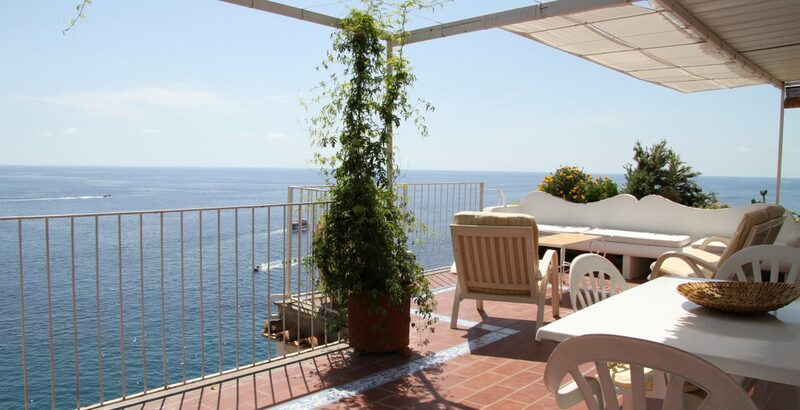 All our apartments have a stunning view on the bay and in clear days you can even see the cost of Salerno’s bay. The apartments are built in terracing so they’re always sunny and each one has luxuriant plants. From the privacy of your terrace, you can watch the hustle and bustle of the boats and fishermen during the day, and the rising of the moon and sun from behind the mountain on the horizon. Positano and the Amalfi Coast are the perfect choice for who seek for a relaxing and wellness vacation, and for those who want to discover hidden paths, natural and architectural masterpieces. Keep reading for more hints. A great week in Positano in a lovely apartment - with stunning views exactly as advertised. The place was clean and well-kept, and stayed cool despite the heat. Giorgio, Francesca's son, was on hand and very helpful - and the location in the centre of town was excellent too. The apartment comes thoroughly recommended - a key part of a superb holiday. This accommodation was so much better than I could have ever hoped for. It was in a perfect location, very close to the main beach, and only 5 minutes from Fornillo beach too, and if you headed out of the fat and went up the stairs, it is close to lots of restaurants too. But we are mainly in the flat as it was really lovely - big, spacious, full of character, with a big front room, bedroom, kitchen, 2 bathrooms and a brilliant big balcony overlooking the sea and the main beach. It is really a very special place indeed, as is Positano itself. I can't recommend this accommodation enough. We dealt with Francesca's son Giorgio who was very helpful. It all worked out really well for us, and we can't wait to go back! L'appartement est très bien situé, propre et la terrasse a une vue incroyable! Nous avons passé un très bon séjour dans cet appartement. Instructions to find the place were excellent. The description was spot on, only the view is even better. Centrally located to the beaches, shops and restaurants. I wish I could have stayed longer. This apartment exceeded our expectations on all levels! The pictures don't do it justice. We loved having the main beach area, and smaller/quieter Fornillo beach withing easy walking distance in either direction with a private staircase/gate all the way down to the main walkway. We walked everywhere we needed to go - restaurants, bus stop, beach, etc. We spent an entire week in Positano, and some of our favorite times were stopping by the market and coming back to the apartment late afternoon for our own happy hour on the balcony. HIGHLY RECOMMEND. We'll stay here again when we return. We stayed a total of six nights in this apartment and really enjoyed our stay. The apartment was well located and very close to the beach and restaurants. The views from the terrace were spectacular and we ate a number of our meals on the deck watching the sunset. We would definitely stay here again. Fabulous location with an amazing view of Positano. A couple of steep sets of stairs down to the room from the main road (nothing by Positano standards) which continued down to the beach. Easy climb road access back up if you find the stairs difficult or the local bus stops right at the top of the stairs. The apt was in the most perfect location, close to the restaurants and the beaches. It was super clean and spacious and I loved that the kitchen was open to living room. The bedrooms were good sizes and had plenty of storage. It could not have worked out better. Everything was fabulous. One of the best vacations I have ever had. It was our 30th anniversary and Francesca had a bottle of Prosecca for our arrival. The apartment was in a perfect location. The hosts were very accommodating and responsive. The pictures are exactly like the place. I had Michele show me the other apartments so I can choose. I cannot wait to come back. We didn't meet Francesca but Michele was lovely and helpful. We loved everything about our stay. We hope to come back next year with friends. It was everything we wanted it to be. Some nights out, some nights we enjoyed our own cooking of local produce on our own balcony. the nearby beach was perfect and the Path of the Gids was amazing. The apartment has million dollar views! Well laid out and ample room for our family of four. Modern functional kitchen and two sizeable bathrooms were a nice surprise. There are a lot of stairs either going up or down so be prepared for that, but that view is well worth it! It's close to the both the main beach and the dock, so very handy. It was very clean and we felt like movie stars just bring in this kody spectacular town, you'll love it. WOW, what can I say! Based on the description of the apartment and the previous reviews I had very high expectations on this apartment. From the very moment we stepped into it I knew that I would not be disappointed, and during our stay this feeling was confirmed over and over again. The apartment was just the right size for 2 persons and the location is more or less perfect very close to everything in Positano. It has everything you need for a nice stay, a well equipped kitchen, a modern bathroom and a comfortable bed. Needless to say it was also very clean. However the heart of it is the balcony: It has a more or less undisturbed view to the main beach, the lively harbor, the ocean and the dramatic mountains surrounding the town. Still you have full privacy on it. It is a perfect place for as well breakfasts in the early morning sunshine, and nice dinners in the twilight. And as an extra bonus you have two sunbeds if you prefer to sunbath on the balcony instead of on the beach. The only challenge is the stairs you have to climb to reach it, but that is how it is in Positano. If needed you can always book a porter to carry your luggage to and from apartment! 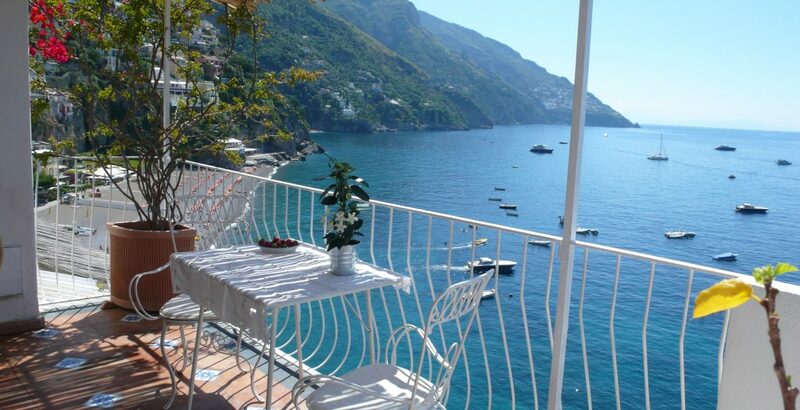 If we visit Positano again I will for sure try to book this apartment!